Lonnie Tuck is an innovative and visionary leader with over a decade of experience successfully promoting workforce programs across the San Francisco Bay Area. His focus on training and employment opportunities for some of the populations with barriers to employment, including ex-felons, minorities, disabled and veterans had elevated his work to become and industry standard and model. Lonnie is a results-driven individual with a passionate commitment to providing opportunities for disadvantaged job seekers. Lonnie’s track record of success is built on cultivating client, agency and stakeholder communications and support that is focused on anticipated challenges and strategic solutions. Lonnie currently serves as the Alameda County Director of the Center for Employment Opportunities (CEO) in Oakland, CA. CEO is dedicated to providing immediate, effective and comprehensive services and opportunities to people with criminal backgrounds. Danny Thongsy is a graduate of Prison to Employment Connection and was released from San Quentin State Prison in December of 2016. At the age of 17, Danny was sentenced to life in prison and served 20 years before being found suitable for release at his initial Parole Board Hearing. While incarcerated, his transformed his life and made a commitment to positive change. He embarked on a path of redemption, personal growth and service by obtaining his GED, completing three certified vocational trades, and earning an AA Degree. In addition he participated in, and facilitated, numerous self-help groups and life skills programs and became involved in chapel groups and religious studies. 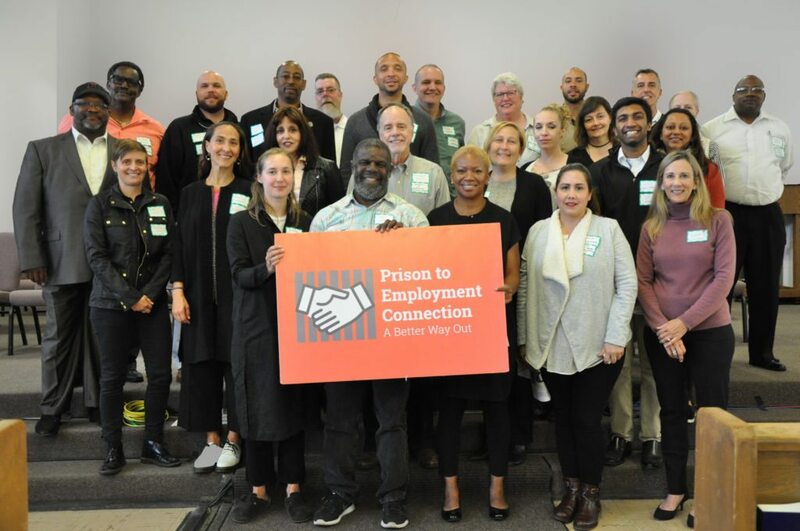 Danny was involved in a program for youth offenders called Kids Creating Awareness Together (Kid CAT) and advocated for the passage of California bills SB9, SB260 and SB261, which gives juveniles, who were tried as adults, a chance for an early Youthful Offender parole Board Hearing. Since his release, Danny has continued to focus on criminal justice reform by working as a fellow at the Asian Law Caucus and Asian Prisoner Support Committee. Julie Sinai, Chief Strategy Officer for Lifelong Medical Care, an East Bay Federally Qualified Heath Center, has over three decades in the non-profit and public sector working for social and economic justice, focusing on equity, community-well being, access to education and economic self-sufficiency. She has extensive experience in strategic planning, public policy, advocacy and building successful partnerships among community-based organizations, workforce and economic development agencies, educational institutions, and government. During the Welfare Reform era of the mid 1990’s Julie developed policy and programs in childcare and family support at a regional and national level. Following this work, Julie led Berkeley Unified School District’s School Linked Programs, forging collaborative efforts to bring medical, dental and behavioral health services into the schools. From 2003-2011, Julie was the policy advisor to the Mayor of Berkeley on health and social services, youth and education, workforce development, and job creation. As Chief of Staff, she advised the Mayor on regional, state and federal policy development and was the responsible for intra- and inter- governmental and media relations. Following her time in the Mayor’s Office, Julie spent four and a half years working for UC Berkeley and then the California Community College system facilitating inter-segmental, cross-sector collaboration to increase opportunities for young people and adults to obtain education and career training. Most recently, as Vice President of Policy and Regional Initiatives for the Roberts Enterprise Development Fund (REDF), Julie was responsible for designing and implementing REDF’s policy agenda and a place-based regional strategy to grow job opportunities for people who have experienced homelessness, incarceration, substance use disorders and mental health challenges. Julie was born and raised in the Bay Area, received her B.A. in Community Service and Public Affairs at the University of Oregonand her Masters of Public Administration at University of San Francisco. We have over forty PEC Partners who hire returning citizens. PEC Partners also include a dozen Support Service and Job Placement agencies to further assist participants in finding gainful employment.